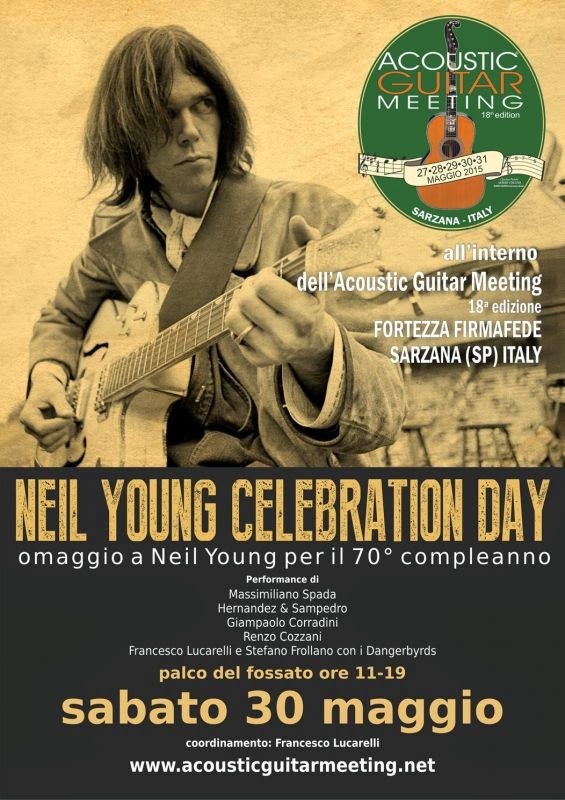 On Saturday May 30th, there will be an 8-hour Neil Young acoustic marathon at the 18th Acoustic Guitar Meeting, which takes place in Sarzana, a small and wonderful medieval town close to La Spezia, Italy, and close to the world-famous Le Cinque Terre. The Acoustic Guitar Meeting is a stunning event rotating around the acoustic guitar, with seminars, performances, exhibitions, luthiers and artists from around the world. Check it out at http://www.acousticguitarmeeting.net/.